Description:Camping Tent manufacturer / supplier, offering Sleeping Bag, Beach Chair, etc. 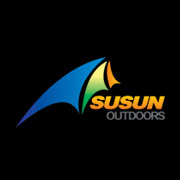 SUSUN OUTDOORS CO., LTD. Camping Tent manufacturer / supplier, offering Sleeping Bag, Beach Chair, etc.